Kevin B. Urdahl, M.D., Ph.D.
Gerald T. Nepom, M.D., Ph.D.
Dr. Urdahl graduated from Concordia College (Moorhead, Minnesota), and earned an MD and a PhD in Microbiology/Immunology from the University of Minnesota. He completed a Pediatrics residency and an Infectious Diseases fellowship at Seattle Children’s Hospital, and his postdoctoral work in Immunology at the University of Washington. He started his career as a primary investigator in the Department of Pediatrics at the University of Washington before joining the Center for Infectious Disease Research in 2010 (formerly known as the Seattle Biomedical Research Institute), which is now part of the Seattle Children’s Research Institute. 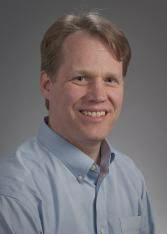 Dr. Urdahl also continues to be an attending physician in Pediatric Infectious Diseases at Seattle Children’s Hospital. Despite efforts to prevent Mycobacterium tuberculosis (Mtb) infection through widespread immunization with the BCG vaccine, tuberculosis remains one of the leading infectious killers worldwide. The development of an efficacious vaccine is hampered by our poor understanding of the fundamental reasons why Mtb persists in the host in the face of an apparently robust immune response. Although T cells, especially IFN-y-producing CD4+ T cells, are clearly important for protection, their ability to eradicate Mtb is subject to limitations. Many of these limitations stem from immunosuppressive mechanisms that protect host tissue from collateral damage caused by an excessive inflammatory response to infection. Whether this immune response can be shifted to achieve enhanced protection without harming the host will require greater understanding of both the immune protective and suppressive factors involved. The Urdahl lab is interested in understanding the factors that impede T cell-mediated immune protection during persistent Mtb infection. We have recently discovered that Foxp3-expressing regulatory T cells (T regs) restrict Mtb eradication, and pathogen-specific T regs are extremely potent in mediating this activity. Even small numbers of Mtb-specific T regs delay the arrival of effector T cells in the lung, the primary site of Mtb infection, and cause an increased bacterial burden. Future research will seek to elucidate how Mtb-specific T regs are induced and to define their precise roles and activities at different stages of infection. A key question that drives these studies is whether T reg function can be safely manipulated to prevent or treat tuberculosis. We are also interested in understanding T cell subsets that promote protection against tuberculosis. Using recently developed MHC class I and II tetramers, we can monitor the function of Mtb-specific CD8+ and CD4+ T cells throughout the course of infection. We seek to determine the lineage relationships between Mtb-specific T cells with different functional capacities, including proliferation, IFN-y production, IL-17 production, and Foxp3 expression. We plan to investigate how variations in innate immune responses help shape the subsequent T cell responses to Mtb. These studies will provide insights into how long-lived populations of protective T cell subsets are induced and maintained during persistent Mtb infection, and should help to inform novel immunization strategies. Urdahl KB, Shafiani S, Ernst JD. Initiation and regulation of T-cell responses in tuberculosis. Mucosal Immunol. 2011 May;4(3):288-93. Epub 2011 Mar 30. Reiley WW, Shafiani S, Wittmer ST, Tucker-Heard G, Moon JJ, Jenkins MK, Urdahl KB, Winslow GM, Woodland DL. Distinct functions of antigen-specific CD4 T cells during murine Mycobacterium tuberculosis infection. Proc Natl Acad Sci U S A. 2010 Nov 9;107(45):19408-13. Epub 2010 Oct 20. Curtis MM, Rowell E, Shafiani S, Negash A, Urdahl KB, Wilson CB, Way SS. Fidelity of pathogen-specific CD4+ T cells to the Th1 lineage is controlled by exogenous cytokines, interferon-gamma expression, and pathogen lifestyle. Cell Host Microbe. 2010 Aug 19;8(2):163-73. Shafiani S, Tucker-Heard G, Kariyone A, Takatsu K, Urdahl KB. Pathogen-specific regulatory T cells delay the arrival of effector T cells in the lung during early tuberculosis. J Exp Med. 2010 Jul 5;207(7):1409-20. Epub 2010 Jun 14.